Traditionally, the final post of the year is dedicated to a selection photos and the stories behind them. Many thanks to all the followers for their interest and shares! Happy New Year 2015! 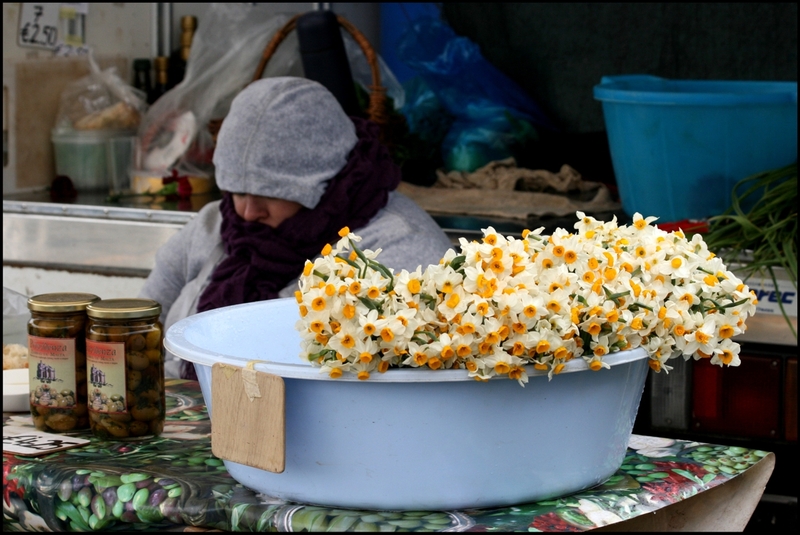 On a cold windy Saturday a woman was selling narcissi at the farmer’s market. The contrast between the tender, sunlit flowers and the gloomy sales person was striking. She seemed absolutely uninterested in what was going on around her, not even paying attention to a few potential customers. 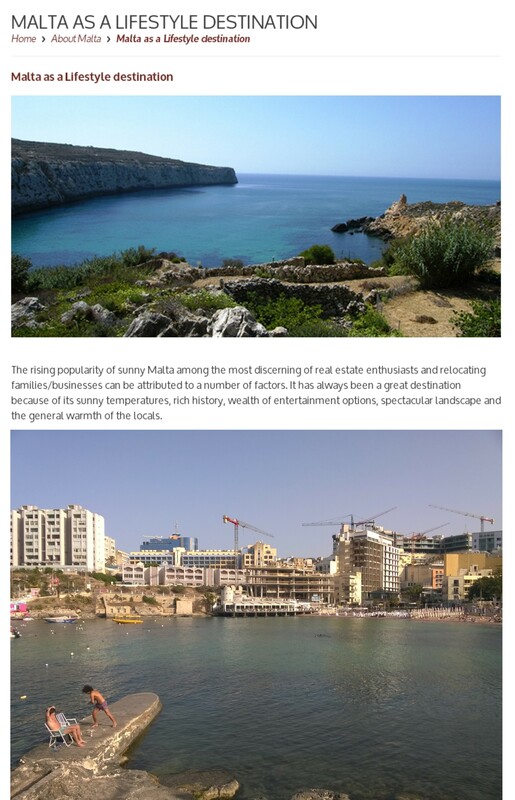 If Maltese population is to be described in two words, it would be ‘politicized’ and ‘segregated’ that fit best (http://raisatarasova.wordpress.com/2014/06/03/malta-lovely-yet-overly-politicized/). 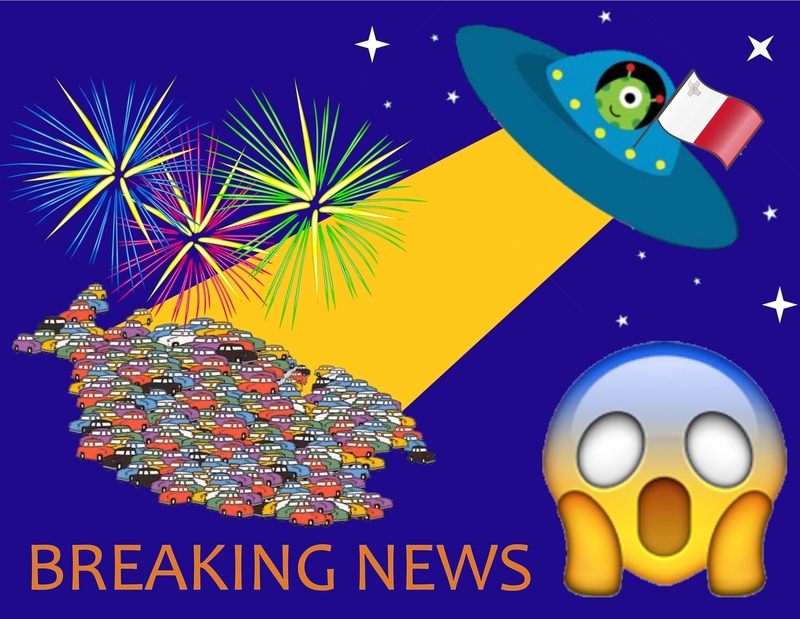 Truly, politics in Malta is a very sensitive topic, thus, in previous years poking fun at politicians in a direct manner at carnival was not allowed. This year, however, the taboo was finally abolished and politics became the central topic for the carnival in March 2014. 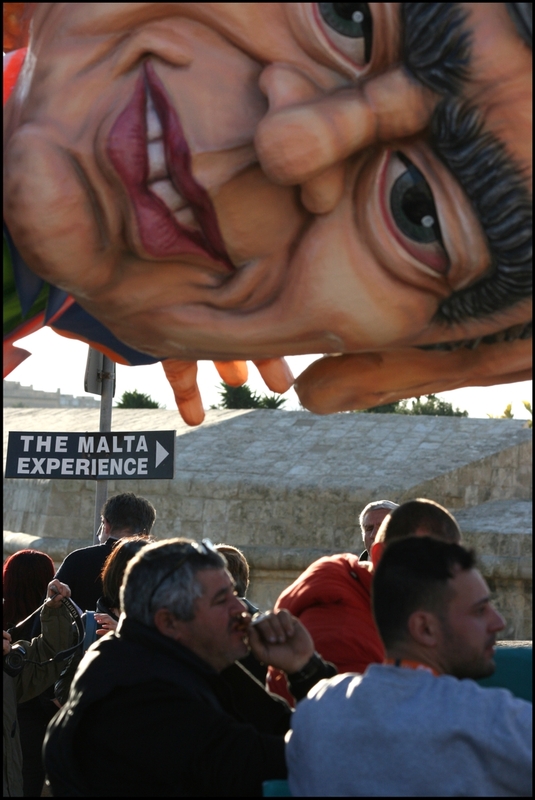 Politicians caricatures were waving from the floats and walking down streets in Valletta – finally, Maltese got a permission for something they had been longing for. On the photo below, Nationalist party leader, Simon Busuttil, floats above the crowd of Labour supporters. Passion for celebrations is another signature of Malta. Starting from St. Publius feast in Floariana, the country dives into enormous bustle of street celebrations, ‘bombi’ and fireworks (http://raisatarasova.wordpress.com/2014/10/01/malta-not-a-day-without-a-celebration/). To be fair, not everyone in Malta is a fan of fireworks yet sounds of blasts rolling from one shore to the other silence their disagreement. 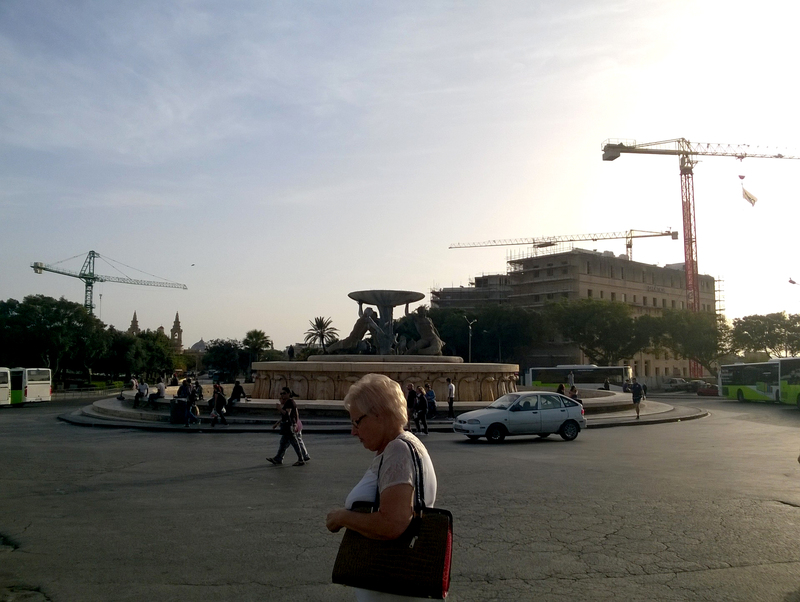 The view from the Hastings Gardens in Valletta is one of the best on the island, many came to enjoy it on the longest day of the year. I could see a group of teen-aged guys, jumping on the thick walls of the gardens – such a good shot! – yet missed the moment of the jump by a split second. Every missed good shot feels like a dream which will never come true. Thankfully, midsummer nights are filled with joy and leave little time to revisit moments of sadness. 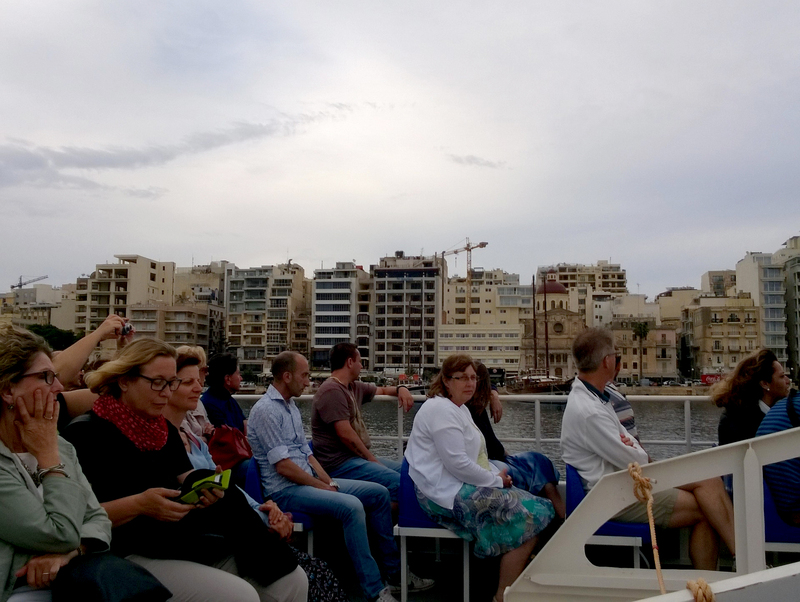 BirdLife Malta organised a few boat trips for the public to admire colonies of Yelkouan shearwater, migratory species of birds that can be easily recognised by specific raucous cackling calls in the breeding season. 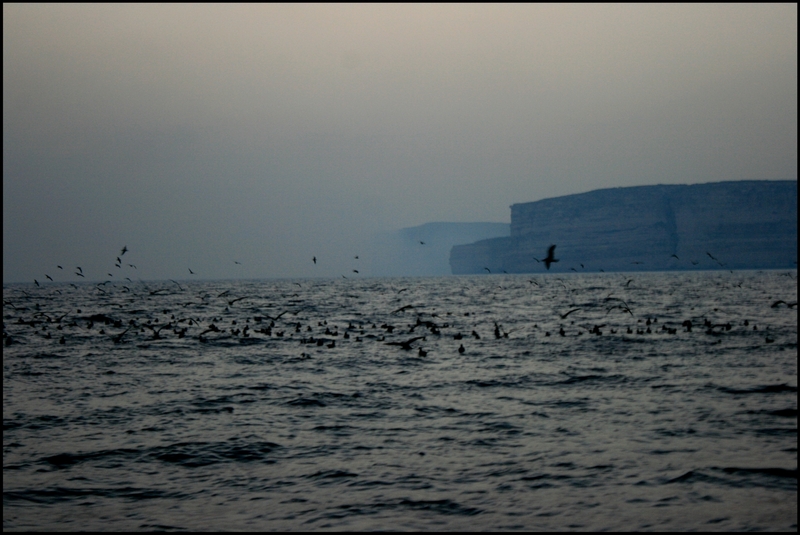 When the boat came closer to the colony raft, most of the passengers reached the state of delight and euphoria, seeing the birds flying very close by. Cameras were clicking hundreds of times per minute, exclamations of excitement and wows dominated our little boat. I was standing there, in the middle of it, failing to share this passion and unable to feel that way, once again struck by the evidence of how many different passions there are in the human world. What possibly is the most exciting thing in the world for one might mean nothing to the other. The little village of Mqabba in the south of Malta is renowned for it’s state-of-the art pyroshows. 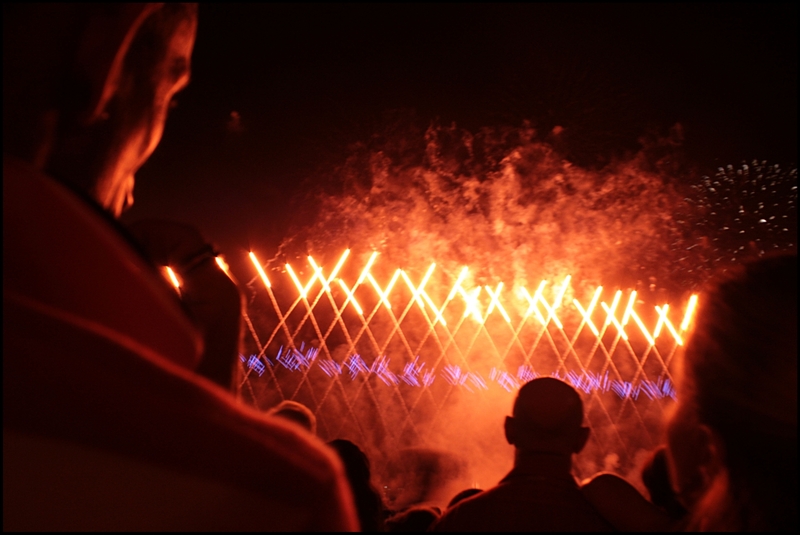 The show attracts thousands of visitors, Maltese and foreign, eager to see what is claimed to be the finest fireworks in the world. 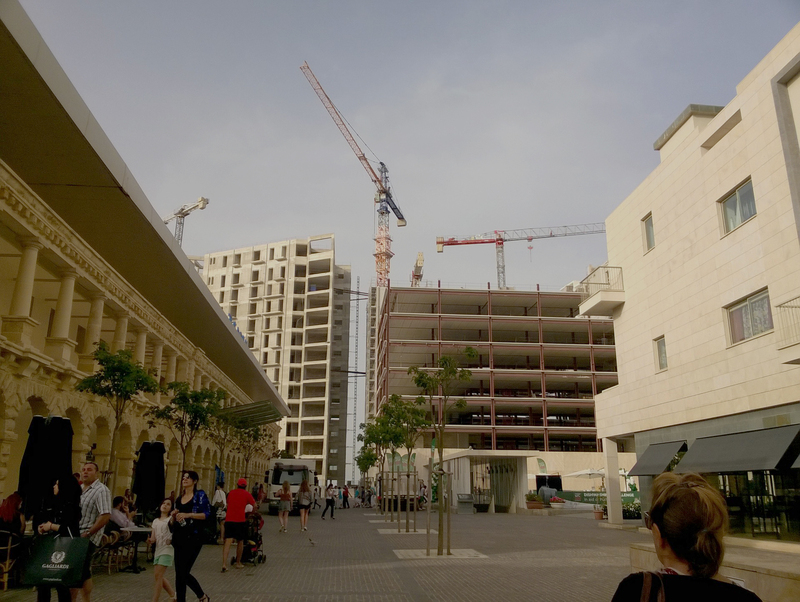 As has been mentioned above, in a simplified yet still realistic manner, the Maltese population is divisible into ‘Labour’ vs ‘Nationalist’, ‘pro-hunting’ vs ‘against-hunting’ and in 2014 it also became ‘Renzo Piano’s project fans’ vs ‘Renzo Piano’s project haters’. Whereas the new City Entrance is praised by some, it is passionately rejected and criticized by others. The Entrance and the New Parliament Building are often called an ‘eye-sore’ and a ‘pigeon house’. In my opinion, the Entrance is simply stunning with its clear lines and the beauty of architecture which calls for associations with Ancient and Medieval times. The new steps, however, unite the fans and the haters. Yes, I love them too! 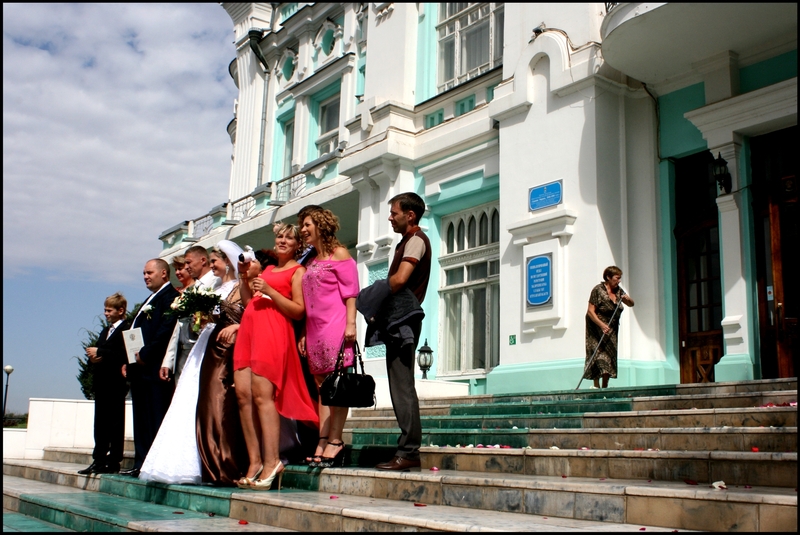 Unlike the current Maltese wedding customs, Russian weddings are easy and informal. Frankly, most of Russians experience more than one wedding ceremony in their lifetime and keep it easy and informal. In Astrakhan (my hometown http://raisatarasova.wordpress.com/2013/09/05/astrakhan-where-east-meets-west-and-both-get-confused/)marriages are registered at the Wedding Palace the place where love oaths are part of every day routine. The formal wedding procedure does feel like routine: couples and their friends gather in front of the Palace, entering one by one, the continuation is standard: ‘I do’, signatures, kisses, a glass of champagne, walk out of the Palace on the path, covered with rose petals, a group photo. If you stay next to the Palace for longer, you would see a long line of couples walking in and out, taking the photo on those steps and you would also hear the elderly woman complaining about the mess (the petals) that she has to swipe after each and every couple. And off it all goes – couples drive away in cars, rose petals end up in garbage bags. Everything passes, love shall not :). 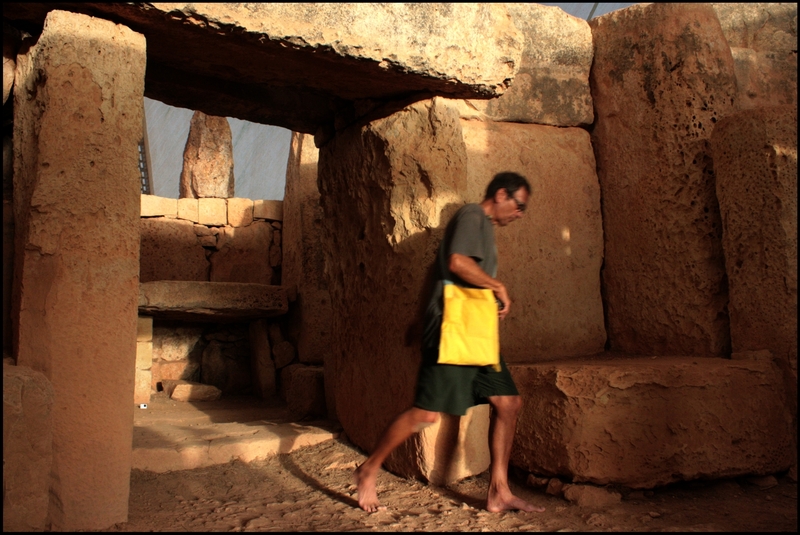 Mnajdra Temples in Malta are among the world’s most ancient man-made constructions, designed for the cult of equinox worship. On the 23rd September A broad range of audience gathered inside the walls of the Temples waiting for the first sunray. The misty sunrise almost ruined the scene leaving no trace of light on the altar. Slowly but surely, we all were becoming disappointed when at 7.30 am the sun finally managed to cut through the clouds and to light a path straight onto the altar. Greeting the sunrise at the ancient place over 5000 years old, where the mysterious civilization used to perform its cult, felt magical. This photo free from any stories and interpretations apart from the fact that it features Castille Place, the office of Prime Minister. Make your own, if you like. 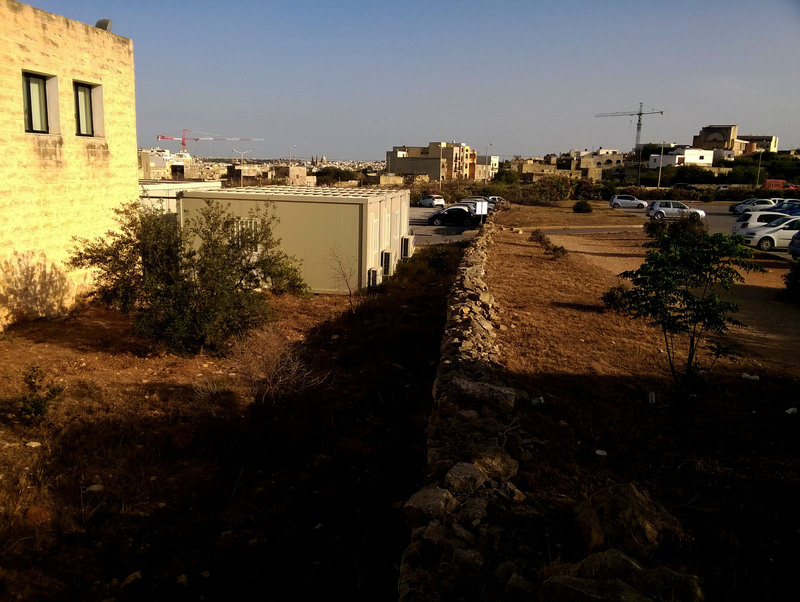 On one very sunny November day we ended up in Gozo for a field trip. The weather and the atmosphere was calling for an adventure (and it did come, not on that same day but later on). 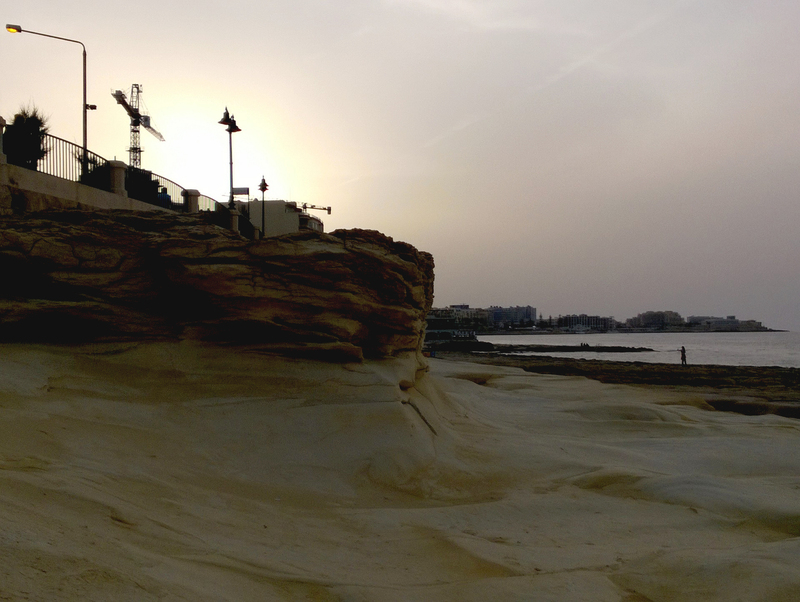 After a picnic, our group headed to Ramla bay, beautiful sandy beach in Gozo. 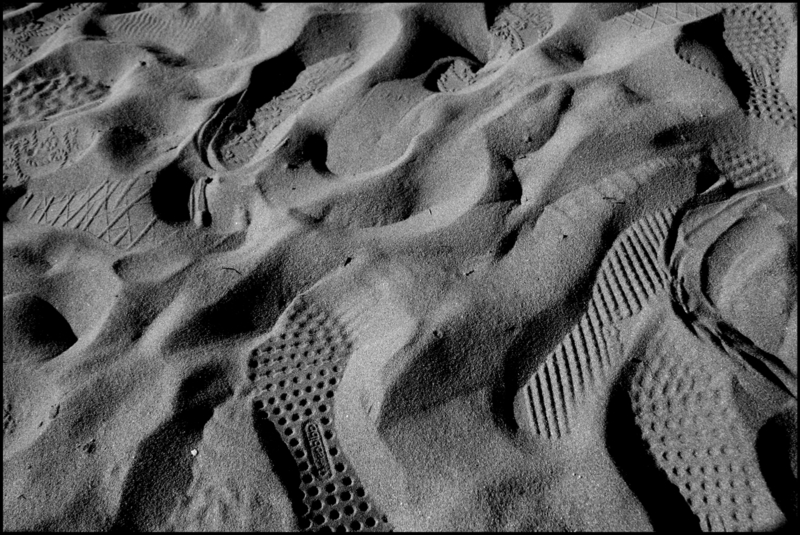 Our footprints on the sand are now gone and we are not there but the memory of it survived. Big hugs, small kisses and best wishes! See you in 2015! Politicks, the card game created by Log Hob Games was a smashing success on crowd-funding site Indiegogo. 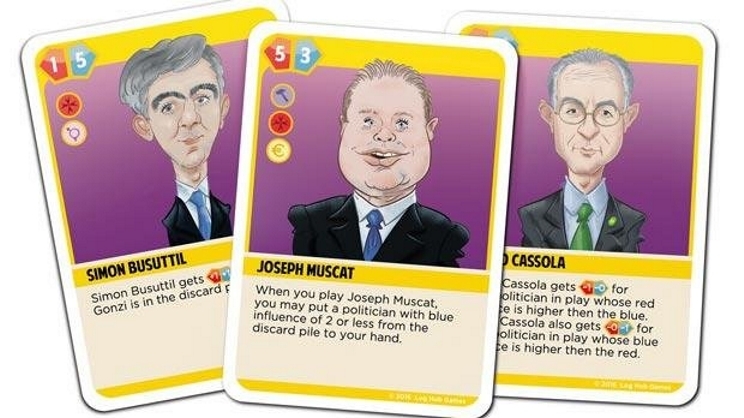 The game finally gave Malta a chance to play with politicians. What would you call Malta’s signature trait, a specialty that can be experienced only here? 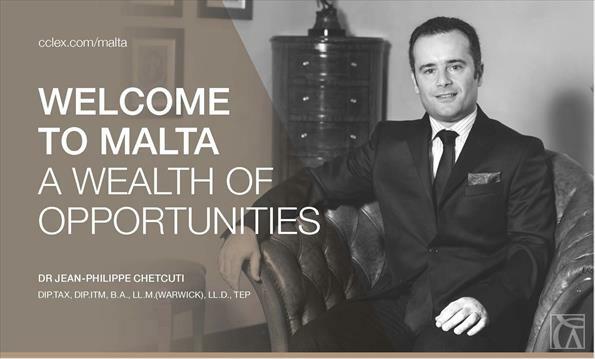 Besides its relaxed and life-appreciating lifestyle, it is the extremely polarised and passionate political involvement that makes Malta so exiting to witness. With its two-party system, Malta is divided into Laburisti (red) and Nazzjonalisti (blue) with a [growing] pinch of liberal-minded citizens. It was utterly surprising to me as foreigner to discover that almost every Maltese above 30 has a strong political opinion and is assigned to either one of the political parties. Politics literally infiltrates every aspect of life in the country. 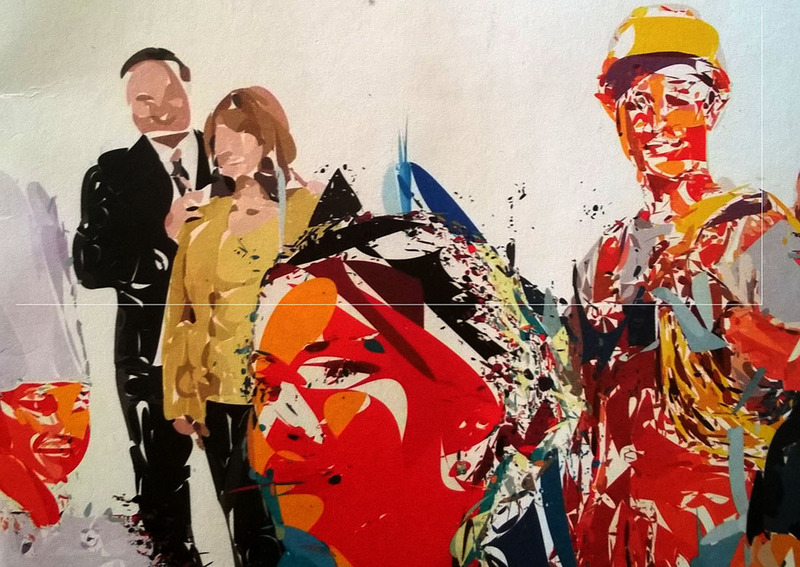 Everything here – from universal concerns such as environmental conservation and development to personal preferences like the colour of car and dressing style – might be seen as political. To even bigger surprise, I learnt that political views are often inherited from family members. Open support for one of the parties eventually becomes a label, strongly associated with the rest of personality and is often used as description. A phrase like “He is Labour” or “She is Nationalist” is a piece of information, sufficient for indictment. Members of the two clusters support their party’s decisions with near religious fanaticism, at times bordering with complete intolerance towards the other party’s members. 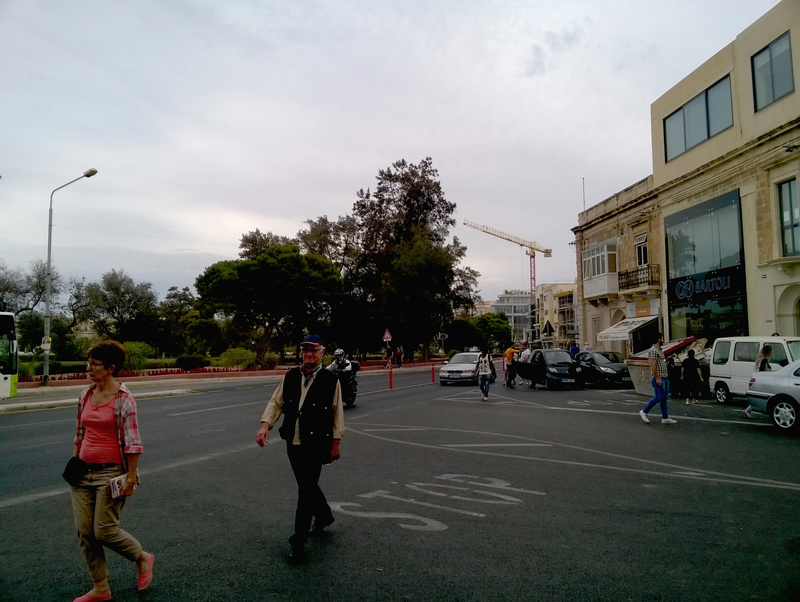 To liberal-minded Maltese and outsiders, numerous examples of such passionate devotion look similar to fights between football fans during big championships. Not only such association comes to mind from direct observations of supporters’ delirious performance but also they result from a failure to logically comprehend the reasons behind such fanaticism with a touch of serfdom. Sometimes it is hard to tell whether politics inspire carnival satire or the opposite is true. Cartoon by Steve Bonello. What is the difference between the two confronting ideologies? Are they ideologies at all? It would be unjustified to say that one represents the interest of underprivileged while the other stands for more established citizens. So, if not ideology, what makes one Labour or Nationalist? 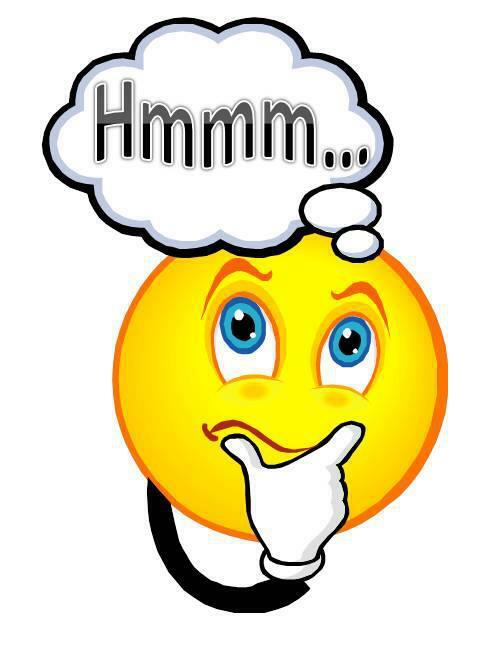 After a few years of wondering, I have come to a conclusion it is [hopes for] personal benefits for oneself and his/her family or paying off for the benefits/lack of them in the past. In a nutshell, it is gratitude or rancor. To be fair, not everyone in Malta is enthusiastic about the two-party system. There are a number of independent thinkers siding with Alternattiva Democratika, and those utterly skeptical about politicians as a class, labeling them all immature. To a Russian, all these observations are more than surprising. 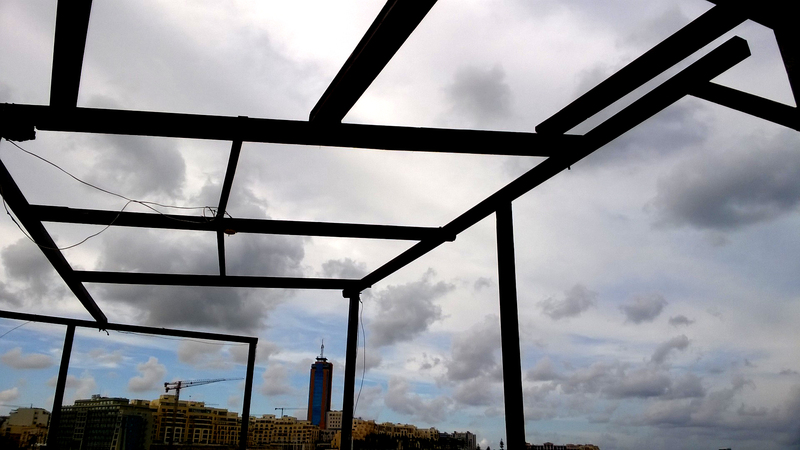 At the beginning, Malta’s political realities were incomprehensible for a citizen of the country with a very low, almost non-existent, trust in the political elite whichever side it represents. 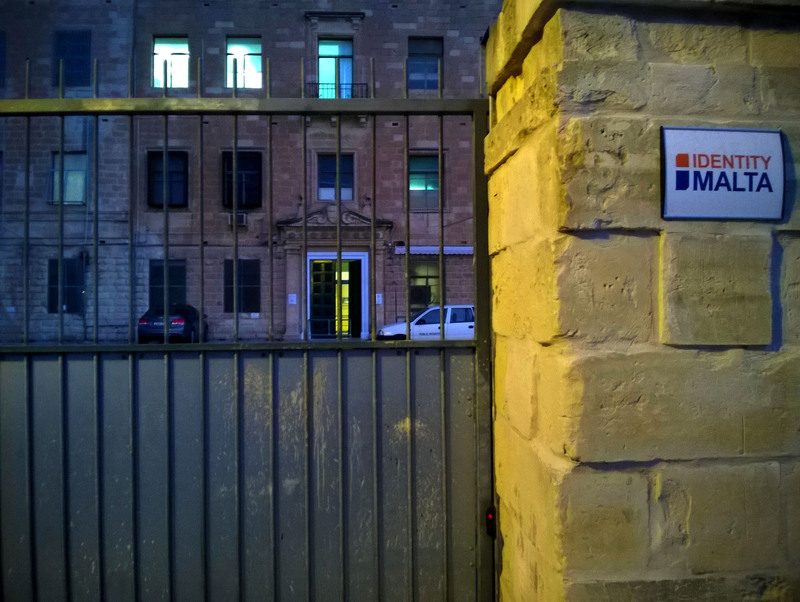 Yes, despite the ever-alarming political and economic situation in the country, Russians do not believe their vote would make any difference or that it has any power at all – that is why the political climate in Malta was a whole new experience. Red vs Blue. 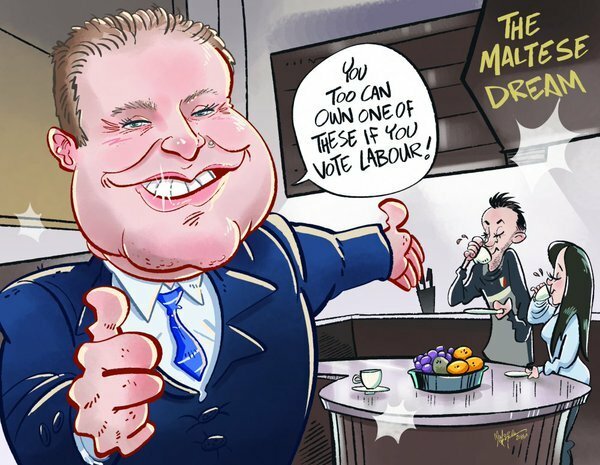 Cartoon published on MaltaToday in 6th January 2016. The original is available here. 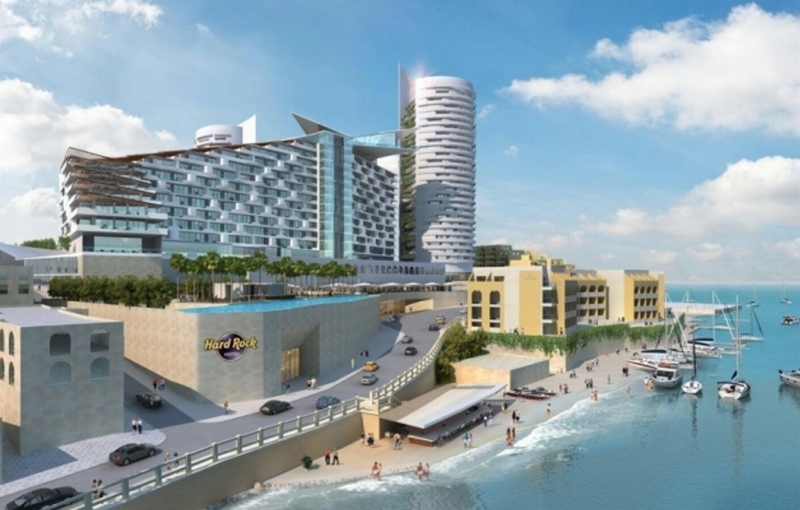 Even though at times Maltese political scene looks like a verbal gang fight, there are still some undeniably positive facts about it – facts regular for the Maltese and incredible for foreigners. 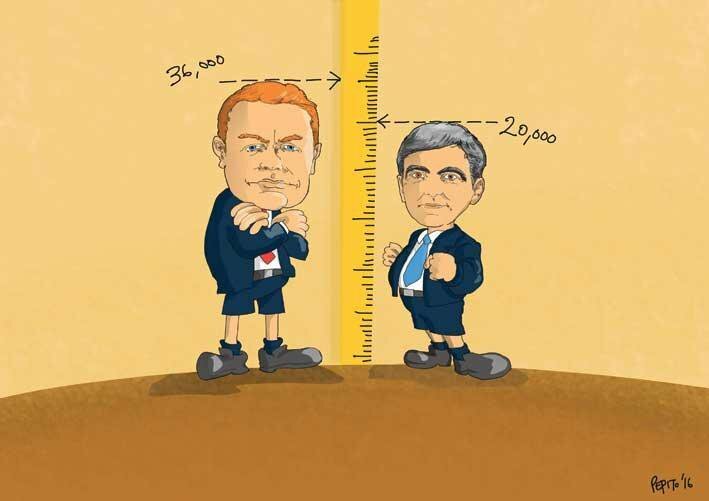 Politicians here are very close to their electorate – they literally are part of the crowd. 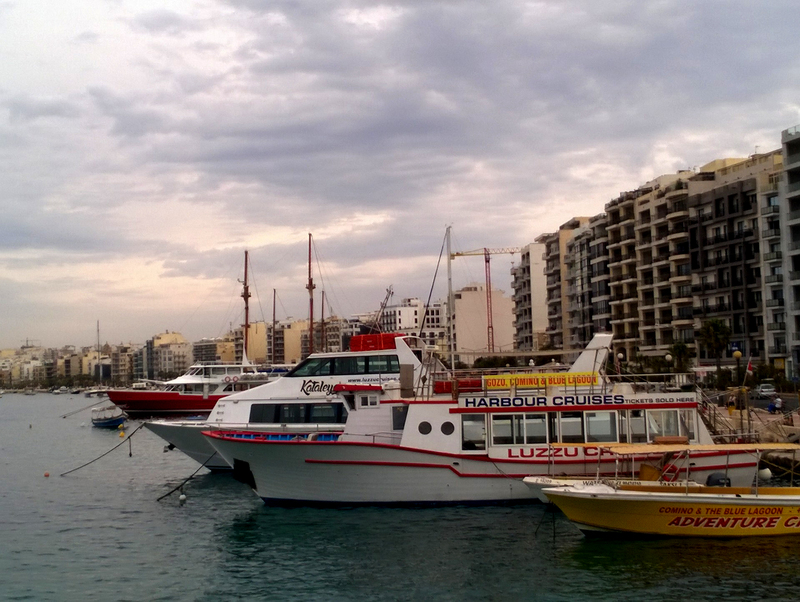 You are very likely to meet them on streets, at restaurants or on the ferry. A minister might be living just a few doors away and a Member of Parliament might hang out at your bar. The powerful guys are just one handshake away and they do remember to whom they owe their power. The very fact that reaching for the Prime Minister’s hand in Malta is quite realistic is already surreal to me. Living in a nearly totalitarian country, I got used to the fact that politicians exist in some parallel universe, completely isolated from mortals with high fences and protected by armed guards. 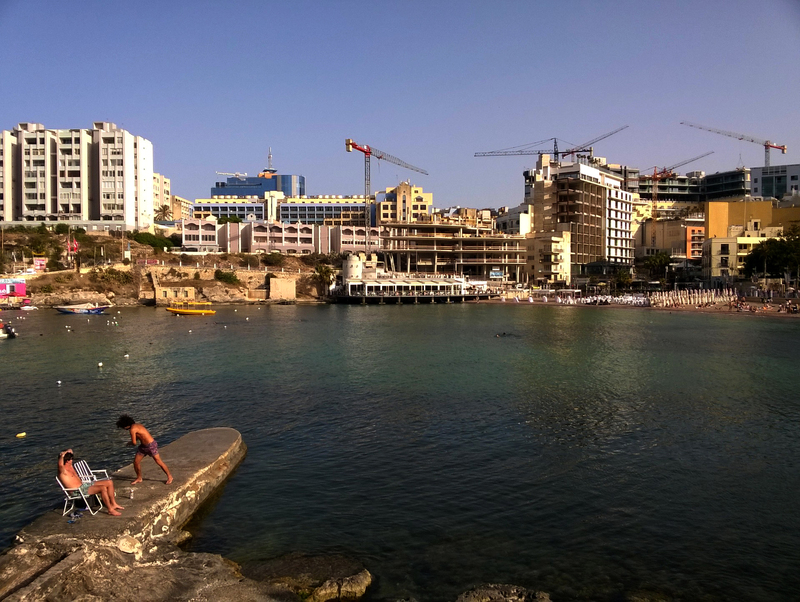 While Russia’s leaders might well be virtual remote characters or realistic game-generated images, in Malta they are mere humans made of flesh and bones. And that alone gives the public a very powerful mechanism of controlling them. 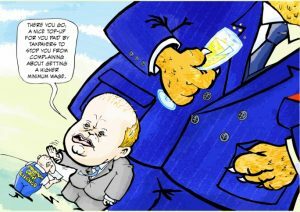 Politics in Malta is a very delicate personal issue. 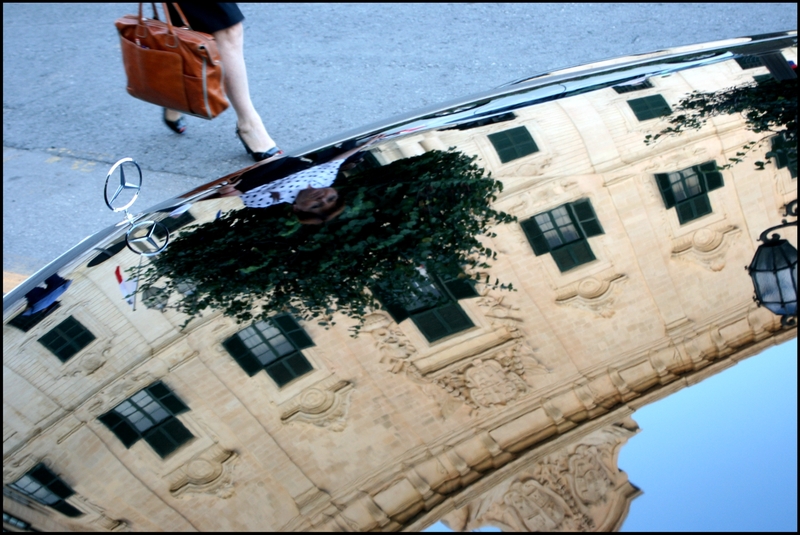 Personal, because by declaring their vote to one party or another, the Maltese very often follow practical, not ideological, interests: contracts, job promotions, boathouses, customised business offers, little treats for the party clubs and so on. 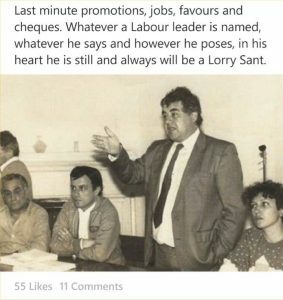 At the end of the day, an outsider understands there is a lot more sense in overwhelming political involvement of the Maltese than it seemed at the beginning. 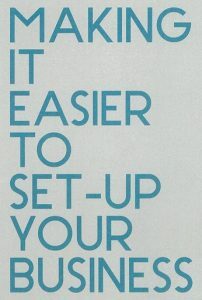 Behind the curtain of fanaticism, there is a very logical desire to be well-connected. 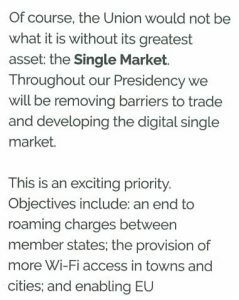 Whereas in many other countries voting for ideas will get you nowhere, in Malta a vote can transform into a very feasible matter and the gang can eventually throw a bone or two. Votes are Malta’s priciest currency. Cartoon published in MaltaToday on 6th January 2016. The original is here. 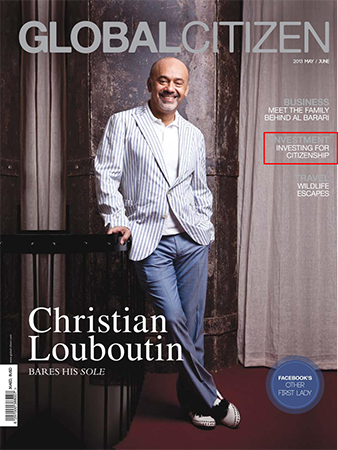 Liked the article? Send it to your expat friends living in Malta. Follow this blog on Malta Sketches Facebook page. 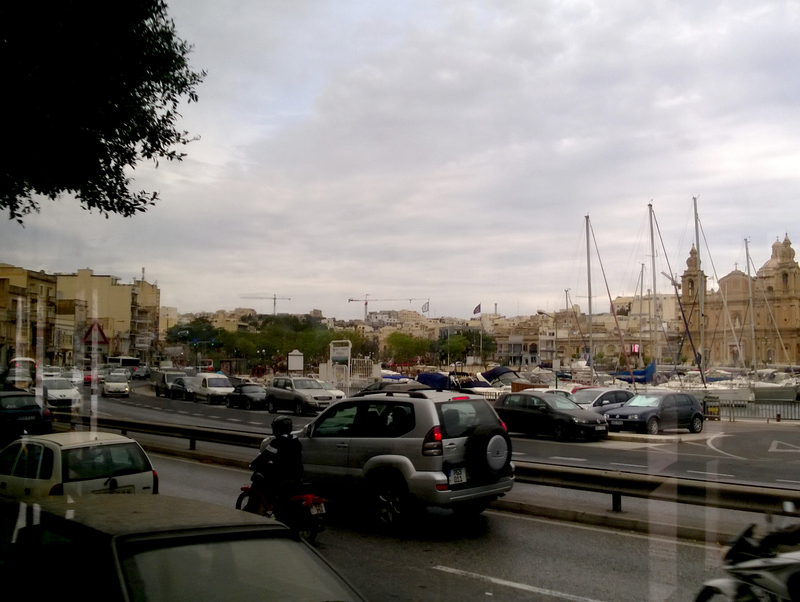 Grazzi ħafna! 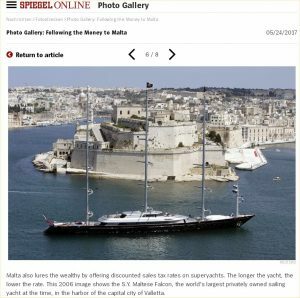 The photos selected for this post capture moments of daily life, important events on the island of Malta and just curious accidents. I thank all my followers for supporting the blog, for their interest, and hope not to disappoint them in the future. Wishing you all Happy New Year! 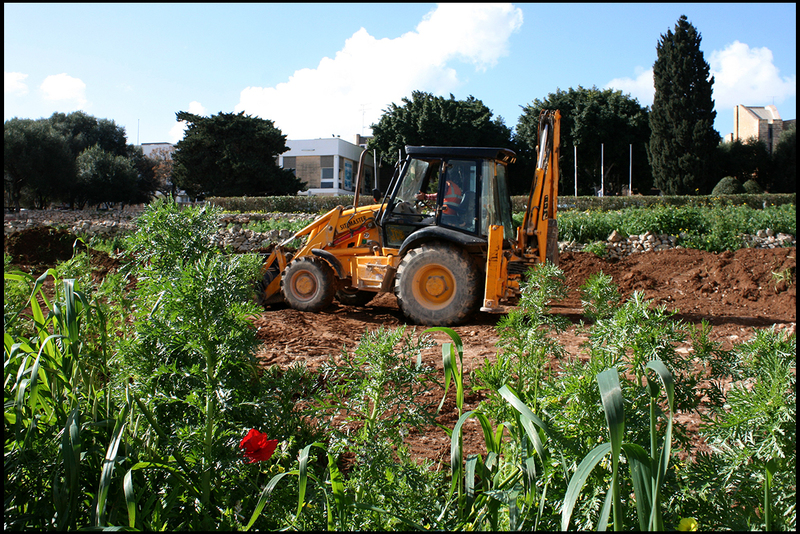 On Janury 22nd the field outside of Chemistry Building (University of Malta) was no longer the same – a bulldozer arrived on the field full of green grass and poppies. It mercilessly passed over the flowers, dipping its bucket into the soil. In a matter of hours the blossom was gone from the field. 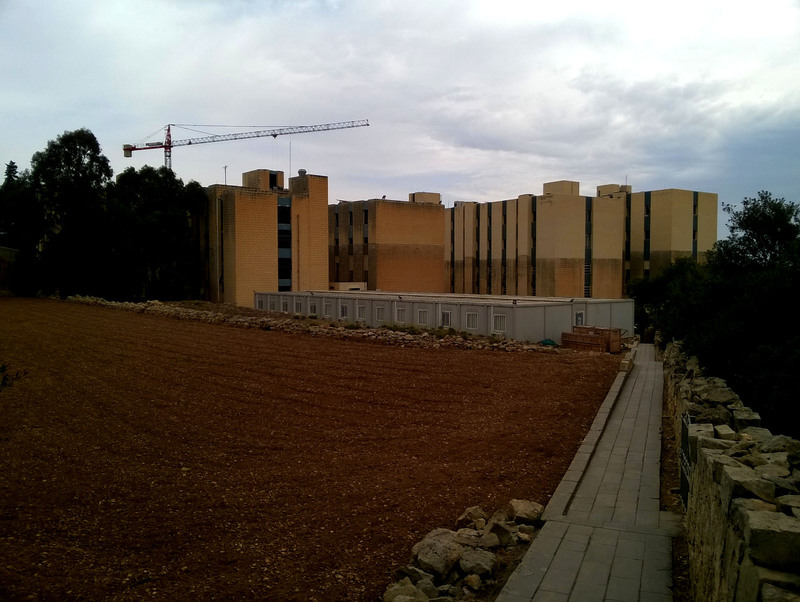 Almost a year later there are offices for the university staff instead of flowers and weeds. Functional necessity won over beauty. 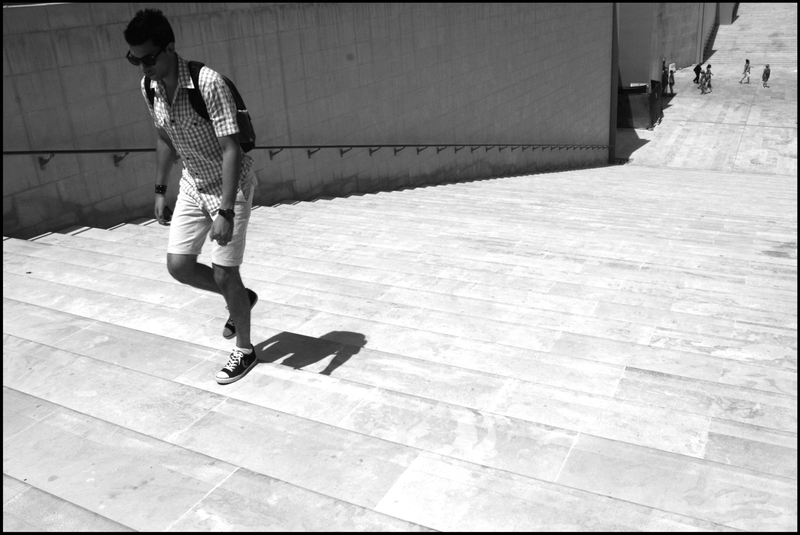 Via Cavana in Trieste is a paradise for street photographers. 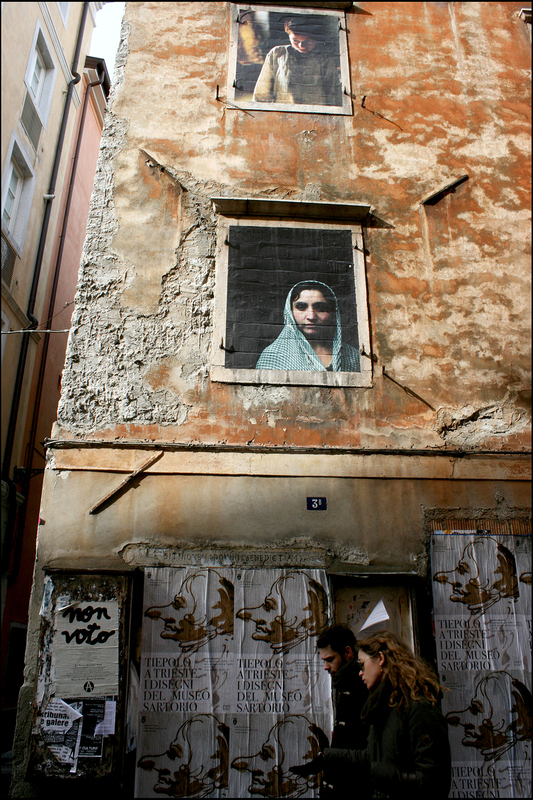 Mysterios portraits on the old building’s wall watch over passers-by as if they were guards of the street. 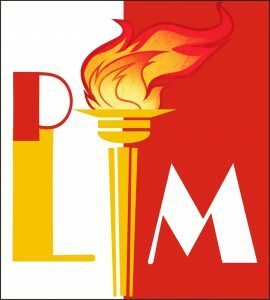 On the 10th March Malta’s Opposition Labour Party won a general election for the first time in 15 years. Party’s supporters organized an improvised march, celebrating the victory. The scale of these celebrating activities was vast, exotic and unprecedented for a foreigner. A girl waving the Labour Party flag from the top of her parent’s car is just an example of the total mass euphoria on that day. 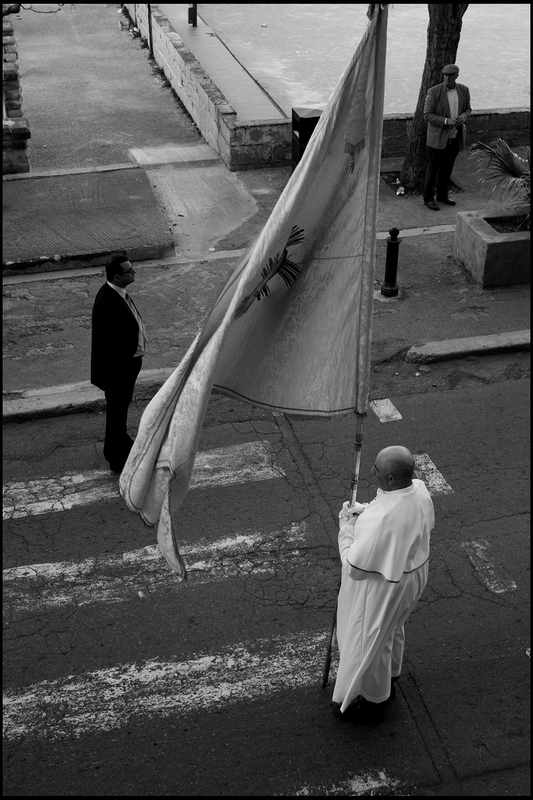 On April 14th St. Publius feast was celebrated in the town of Floriana. 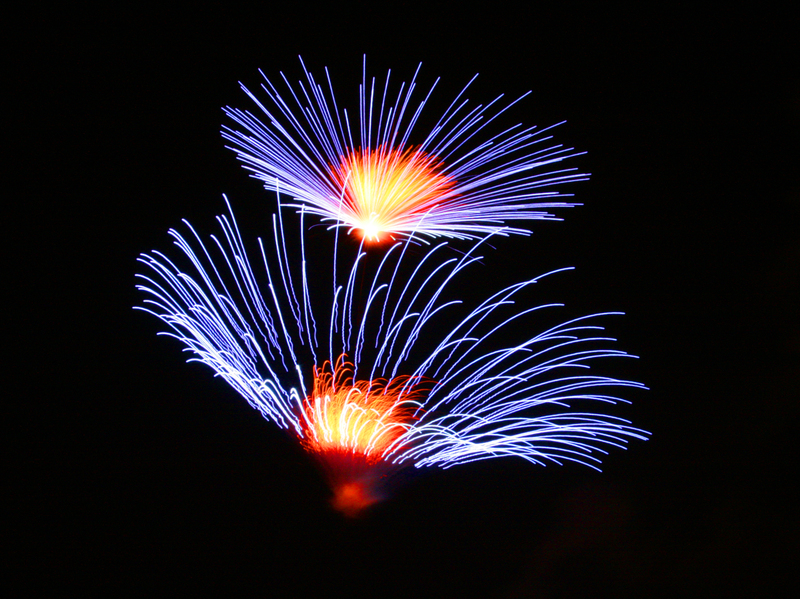 The feast opens the long-going season of feasts which brings galore of fireworks and street celebrations to Malta in summer. The photo tells nothing about the feast itself but shows three man, separated from one another yet still connected in some invisible manner – a symbolic picture in my opinion. March against Monsanto held on May 25 in Valletta gathered a crowd of protesters against food monopolization in general and MONSANTO corporation in particular. 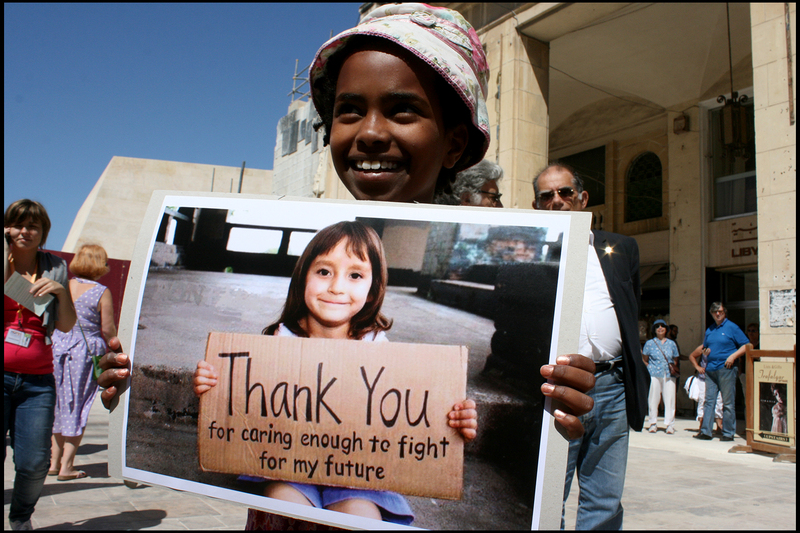 The youngest protesters were among the most active ones. L-Imnarja Feast in Buskett garden on the June 29 celebrated two very important Saints in Maltese religious lore. 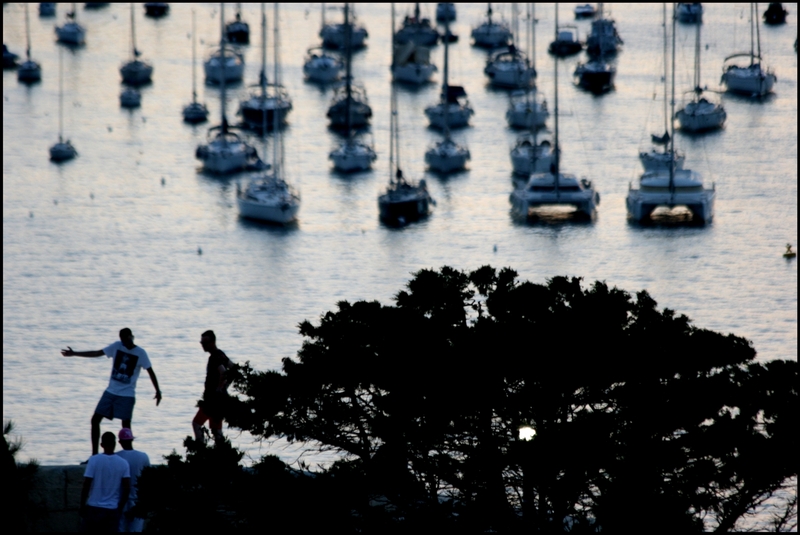 It is one of the oldest feasts on the islands. Buskett garden was turned into a tradition fair with fruits and vegetables from local farmers, yummy food and folk music. 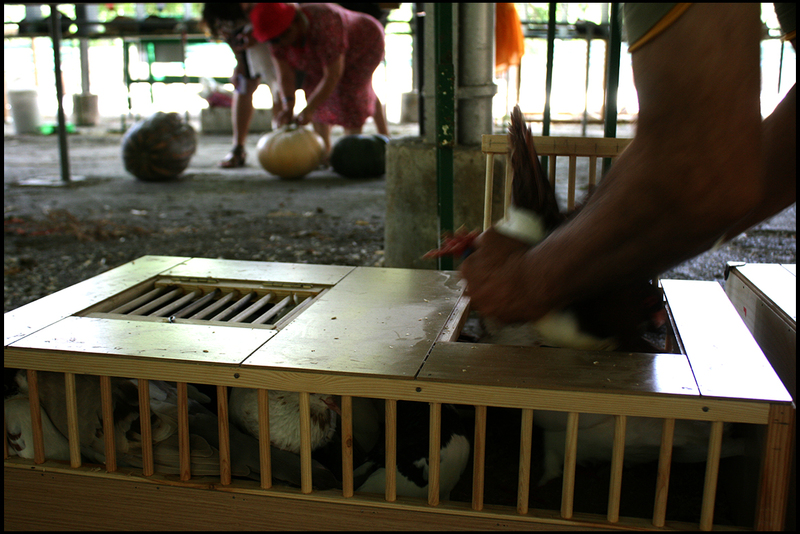 The caged animals, however, did not seem to enjoy the celebration. 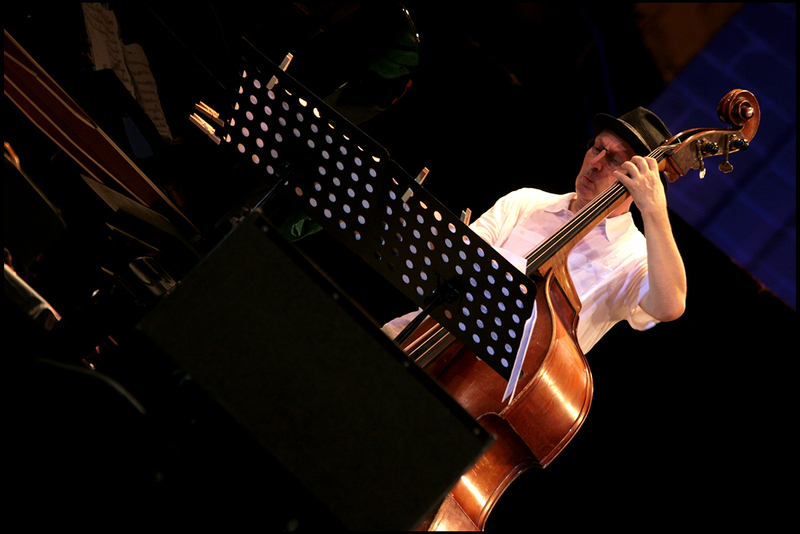 Malta Jazz Festival is an annual event and a treat for all true music admirers. Still under the impression of Chano Dominquez’ performance last year, I was not equally delighted by Michel Camilo’s Trio. The photo features Lincoln Giones (bass) from Michel Camilo Trio. August was an unforgettable month because I met Big Friday, a wonderful horse from Gozo. 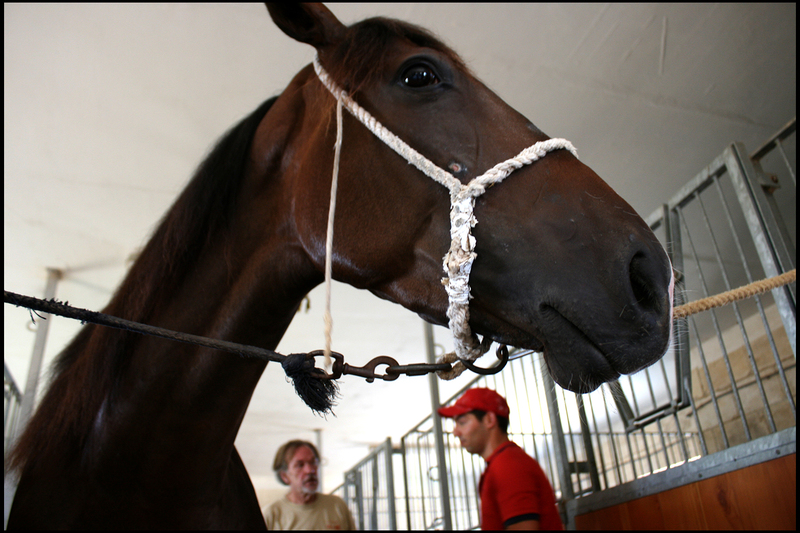 This glorious and tender animal wins races and cherishes friendship of those who care for him. Another discovery in the month of August was Aeroflot (its new image, to be precise), the Russian company at the stage of re-inventing itself and improving its service. In September I paid a visit to my home town, Astrakhan. The city, a unique oriental character of which was sacrificed for modernization, is sinking into alcoholism and drug addiction. This photo signifies hope for the place to resurrect in its former glory. 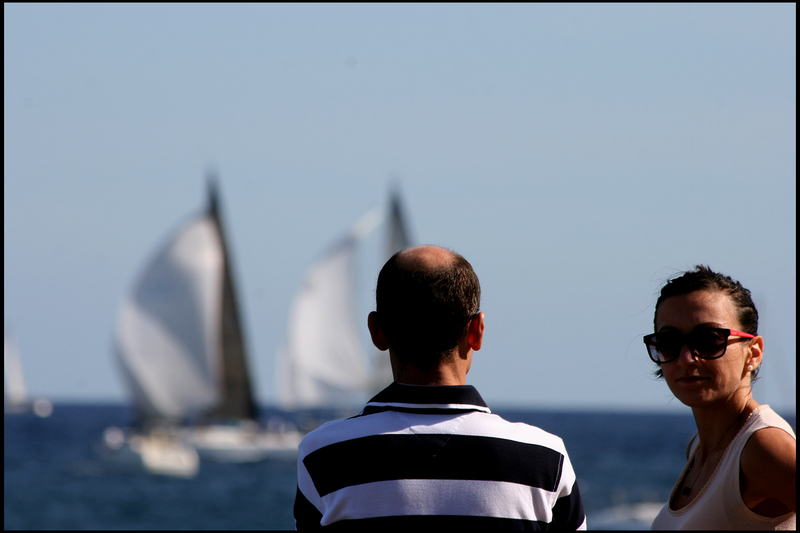 On October 30th both, locals and visitors, witnessed a spectacular show of the 34th Rolex Middle Sea Race. One by one boats were leaving the Grand Harbour, opening their sails of all colours to the wind, in order to return in a few days. Christmas is taken very seriously on the island of Gozo. 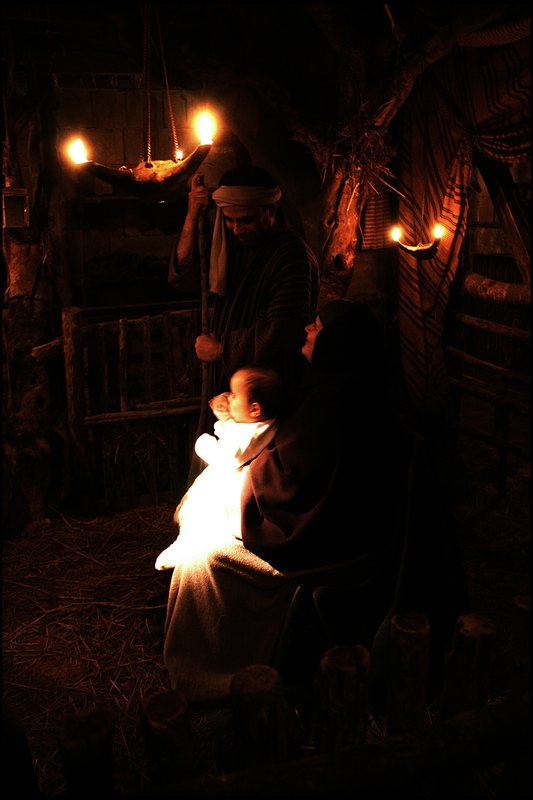 Bethlehem Village takes visitors two millennia back to the town where Christ was born. The festive atmosphere was infused with warmth of mulled wine, children’s laugh and enthusiasm. 2012 was an awesome year for me. Besides a number of interesting activities, it brought many photographic opportunities. The results of these opportunities are shared on this page, I would call it a summary of my photographic activity. 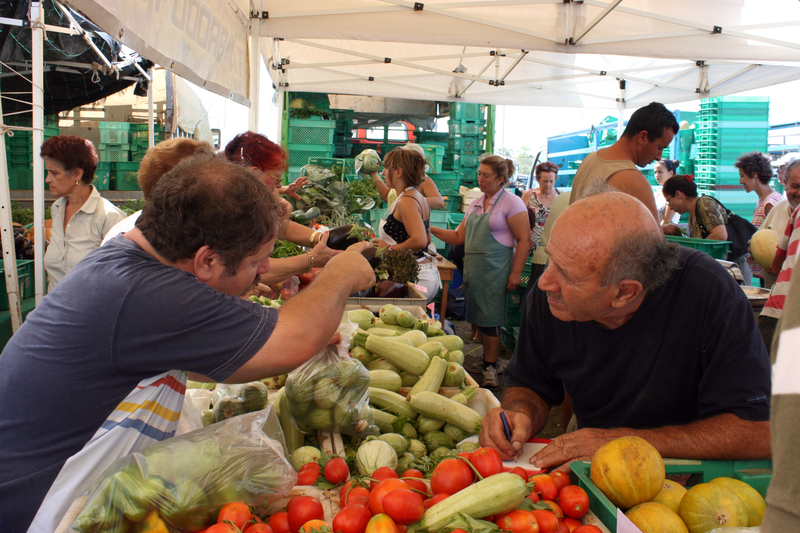 Farmer’s market in Ta’ Qali, Malta, was my main food supplier this summer. Locally grown, fresh food and vegetable of great quality from friendly and cheerful farmers, make it a great place for food shopping. Besides all the other advantages of this place, prices for such quality products are more than appropriate. With 20 Euro be prepared to fill up 5 or 6 bags – the amount of food enough for two weeks! Fireworks of this small Maltese village (Lija) are among most impressive on the world’s scale. 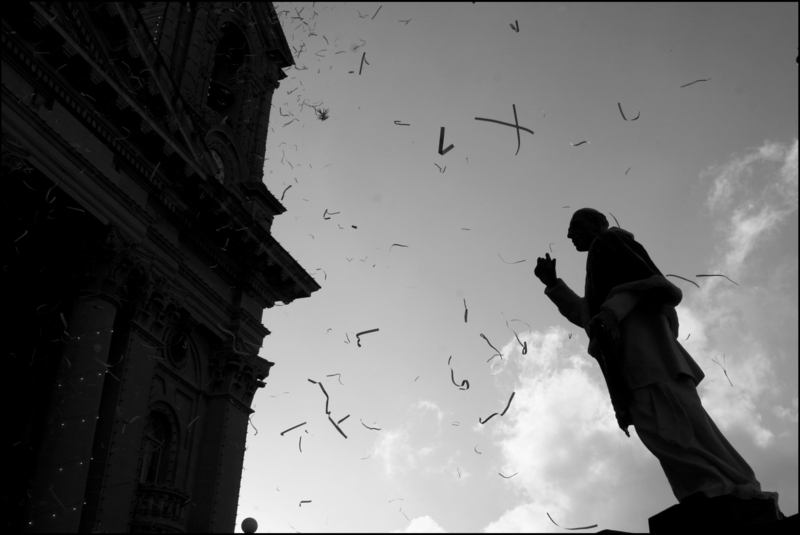 25th August was a hot sunny day, when thousands of Maltese citizens gathered in Valletta to give a final farewell to the former Prime Minister Dom Mintoff. 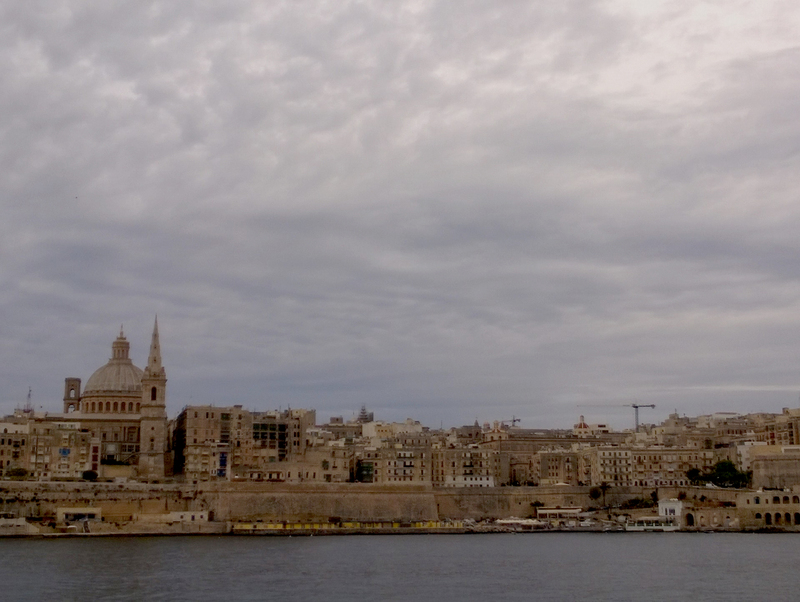 Before heading to Saint John’s Co-Cathedral, where the funeral mass was held, the body was kept at the Palace in Valletta. 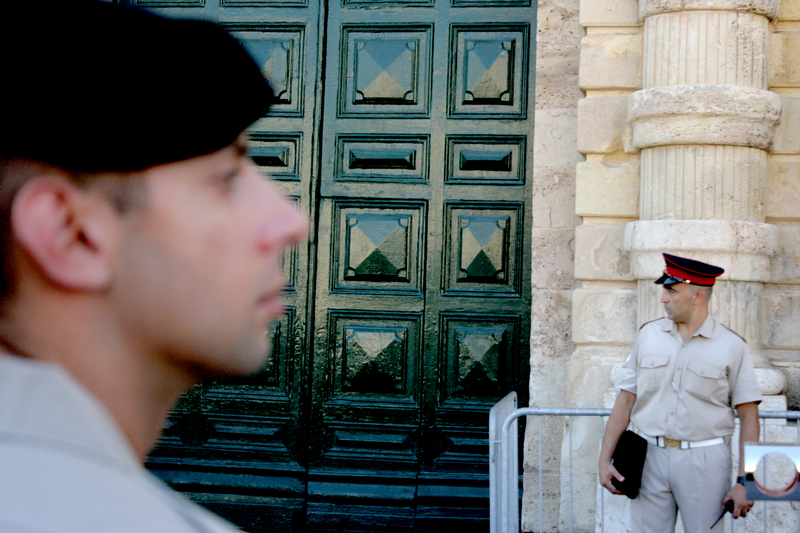 Once public tribute was over, the doors of the Palace closed, leaving a great emotional tension in the air. Few minutes after the doors revealed a coffin covered with the national flag. The crowd greeted the deceased Prime Minister with applauses and weeps, chanting “Viva Mintoff! 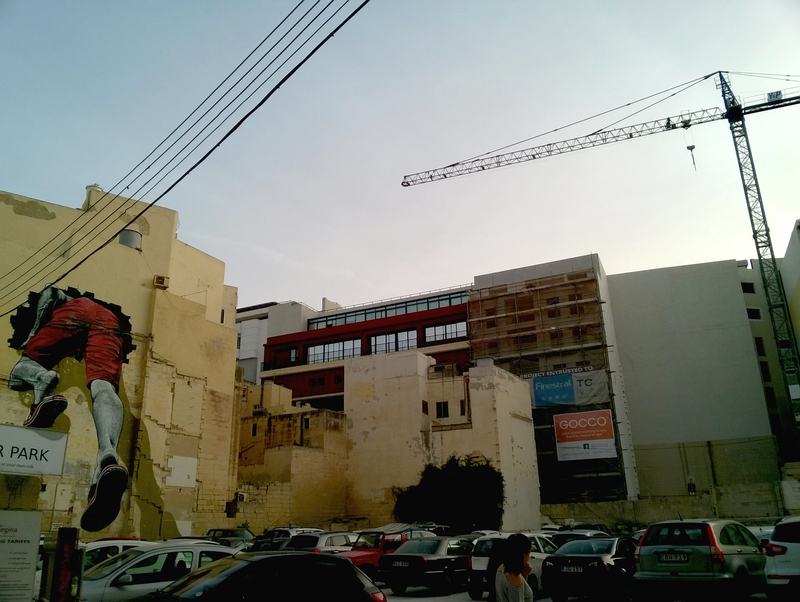 Mintoff! Mintoff”. Once public tribute to the former Prime Minister had been over, the doors of the Palace closed leaving emotional tension in the air. Few minutes passed before the doors revealed a coffin covered with a national flag. The guards were ready to give the final farewell. 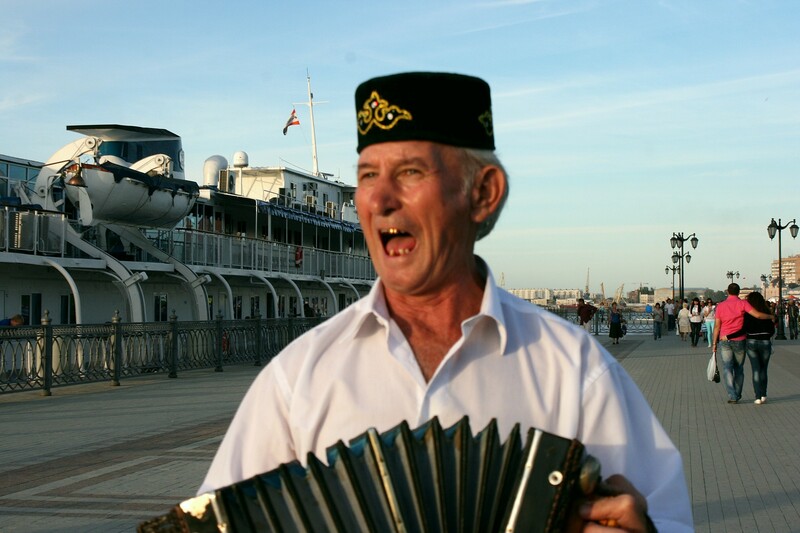 This photo was snapped in my home town Astrakhan at the City Day feast (16th September). Ethnic Tatar man with harmonica was playing, singing Tatar national songs and, by all means, he was having fun despite the surprised looks of the passers-by. Two schoolboys climbing up the ladder on the school playground. This photo was taken in my home town, Astrakhan, on 2nd October. 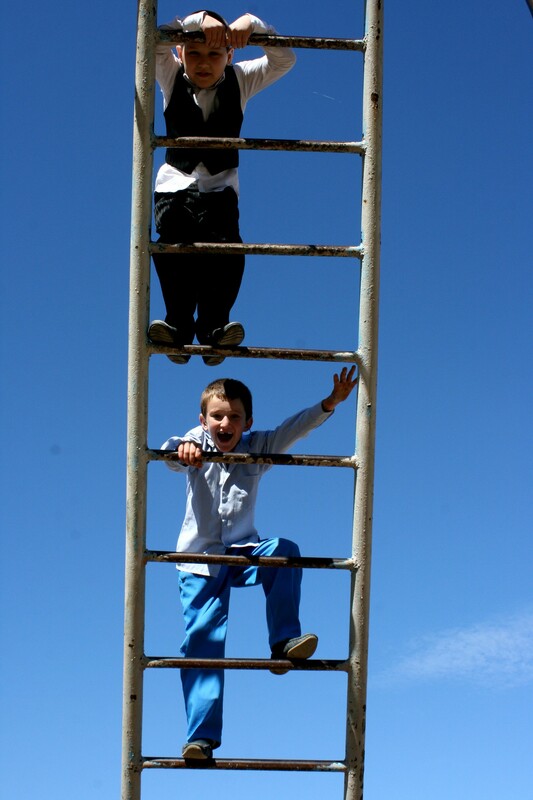 Two schoolboys climbing up the ladder on the school’s playground. Astrakhan, 2nd October. On Saturday, 27th October, all tango lovers living in Malta gathered to celebrate the 15th anniversary of the introduction this dance to the Maltese public. 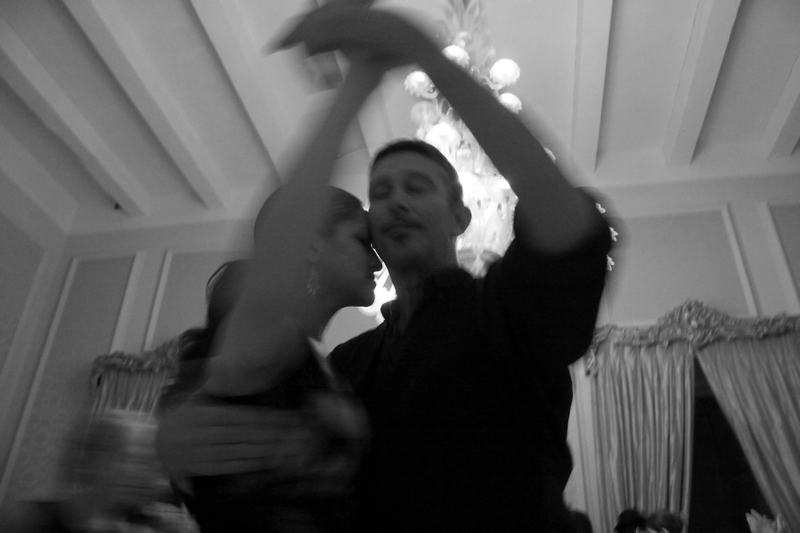 The event took place at Palazzo del Piro in Malta’s medieval capital, Mdina, and was organized by Isla del Tango. 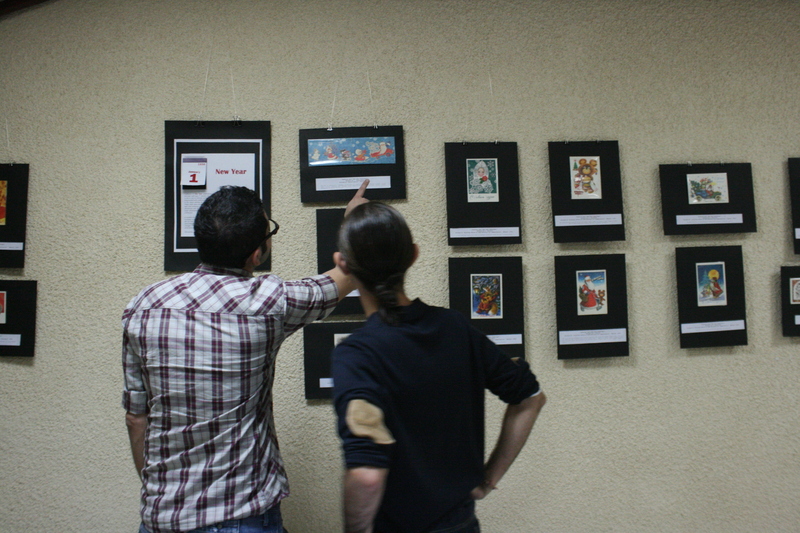 Exhibition of vintage Soviet greeting cards from my (family and own) collection was held in Valletta, Malta, from 7th till 15th November at the Russian Centre for Science and Culture. The exhibited cards symbolized the epoch gone with the wind. Exhibition of vintage Soviet greeting cards. 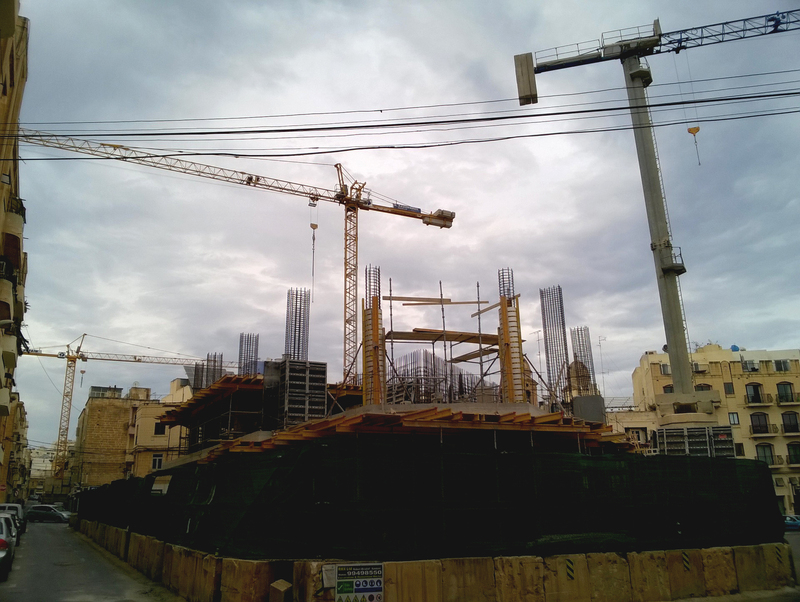 Valletta, Malta, 15th November. The protest against animal circus in Malta was organized by movement Graffiti and happened in Valetta, Malta on 12th December. 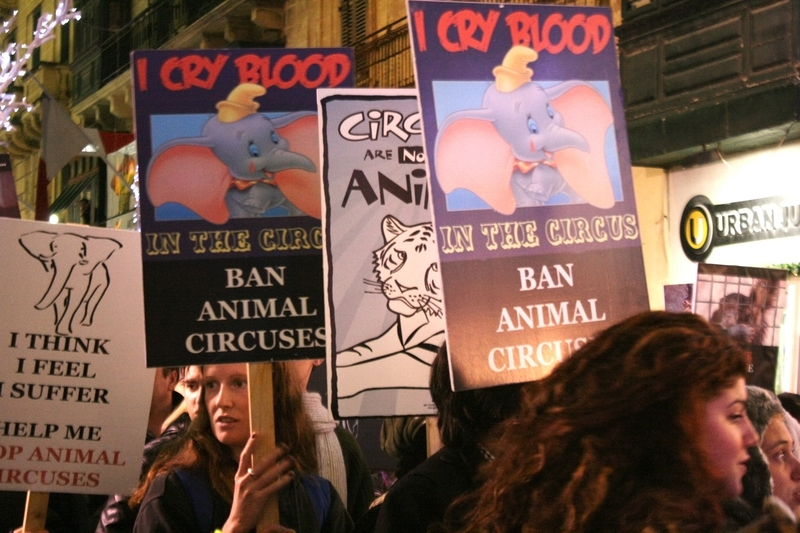 Around a hundred of protesters gathered in Valletta to express their disapproval of the animal abuse at the circus.